[BB-Blog]: Fiona Carswell product design. These art/design projects made me laugh. 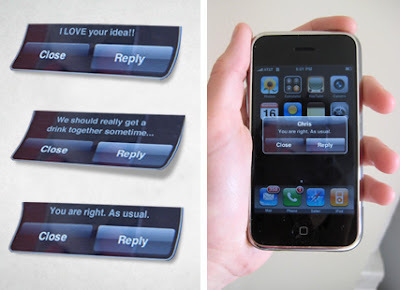 For people who go to great lengths to see what they want to see, Cell Stickies is a small booklet of plastic sheets with ego-stroking text messages printed on them. Not satisfied with the text message you received? Peel off a Cell Sticky and slap it on your cellphone screen, showing you the message you really wanted to see. 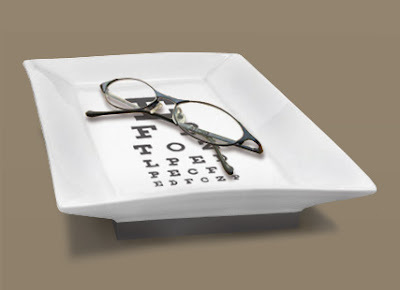 When the glasses are in the tray, the eye chart appears in focus. When the glasses are removed, it appears blurry. 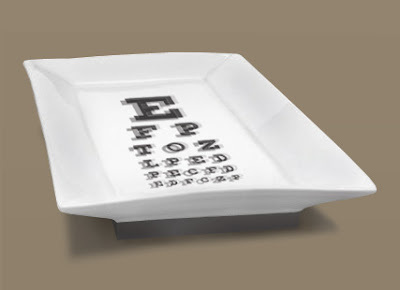 Concept for an eyeglass tray using thermochromatic ink and a pressure sensor. no way! i don't get it! that's cool.